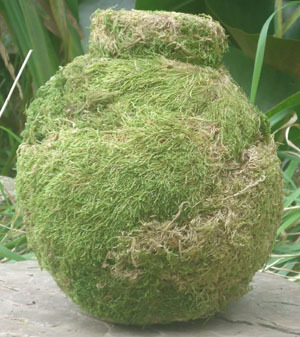 Inspired by the precious nests of small birds this vessel is decorated with fallen moss collected from Devon woodland. The moss is dried then fixed to the vessel. The moss surface becomes more brown in colour over time.